A full function professional audio media player to replace disc or tape based replay systems. The DN-F300 has no moving parts and hence it will be far more reliable than traditional CD or tape play-out devices, and will provide enhanced reliability and considerably longer working life. Simply plug your pre-prepared SD/SDHC card or USB stick into the relevant slot in the DN-F300 and then, using all of the advanced replay functions provided, you have the perfect replay tool for a myriad of demanding applications, including Background Music (BGM), Fitness/Aerobics and Broadcast play-out. Housed in a compact 1U-rackspace enclosure, the DN-F300 offers users a versatile solid state audio player at an extremely cost-effective price point. The DN-F300 also has an infra-red (IR) remote control (see left) and a microphone input, making it perfect for fitness and dance applications as well as BGM playback in shops and other public environments. Additionally, the mic input has a music ducking facility, which helps for paging in BGM applications. 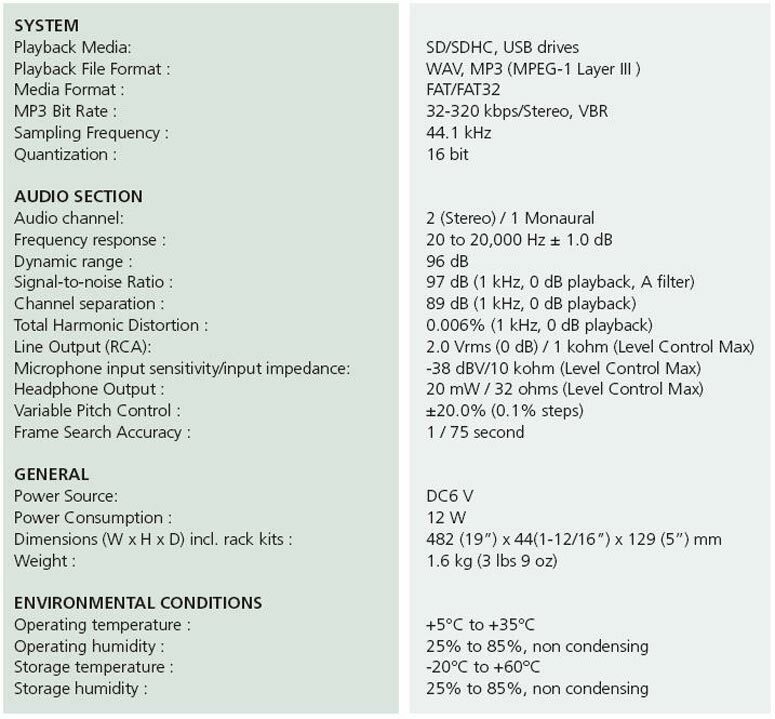 It also features ±20% pitch control, a wide selection of playback modes, A-B Repeat function, Next Track Select, and many other useful functions (see the DN-F300 datasheet here for further details).